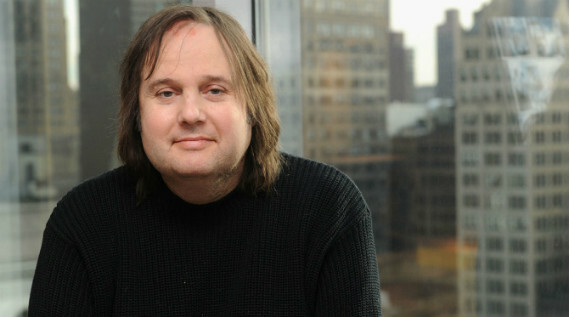 In a week where Oscar pervaded our minds and the Independent Spirit Awards remind us that Hollywood and what the industry considers the indie film scene no longer seems to have an accurate dividing line, we’re left ruminating on the tragic loss of another beloved member of the documentary film community in Bruce Sinofsky. Known for co-directing the PARADISE LOST trilogy, BROTHER’S KEEPER, and METALLICA: SOME KIND OF MONSTER, among others, Sinofsky passed away in his sleep early Saturday morning at age 58 due to complications stemming from diabetes. The news came directly from his friend and collaborator Joe Berlinger via a post on Twitter. Brent Lang of Variety reported the news, as did Tim Kenneally for The Wrap, various staff at Indiewire, Sam Barsanti for A.V. Club, and Fandor’s David Hudson. At Loudwire, Chad Childers relayed a statement from Metallica on the loss of their “family member”. As you’ve certainly heard by now, last night the Oscars proceeded without a hitch and the Film Independent Spirit Awards transpired the day prior, both of which saw Laura Poitras, and her documentation of the watershed moments in which Edward Snowden revealed the ongoing secret espionage campaigns of the US government in CITIZENFOUR, continue their historic sweep of critical acclaim by taking home the awards for Best Documentary. Snowden himself reacted to the news of CITIZENFOUR winning an Oscar via Lauren Duca of The Huffington Post. Andrew Pulver of The Guardian, Dave McNary at Variety and Daniel D’Addario of Time reported on the Oscar news, while, writing for The Atlantic and The New Yorker respectively, Conor Friedersdorf and Amy Davidson ruminate on why CITIZENFOUR’s win matters and remains much deserved. As reported by The Hollywood Reporter, director Ellen Goosenberg Kent and producer Dana Perry won the Oscar for Best Documentary Short with their film CRISIS HOTLINE: VETERANS PRESS 1. News of the Independent Spirit Awards win came in via Fandor’s Keyframe , Variety, IONCINEMA’s Eric Lavallee, as well as Indiewire thanks to Katie Walsh. Tomorrow, the Winter ’15 season of Stranger Than Fiction continues with directors Ian Olds and Garrett Scott’s 2006 Independent Spirit Truer than Fiction Award winner, OCCUPATION: DREAMLAND. Ian Olds will be on hand for a post-screening Q&A. The festival circuit was semi-quiet this week, though it was announced, according to Dave McNary of Variety, that AFI Fest is to begin accepting doc submissions starting March 2nd. Which reminds me, if you are planning to submit your doc to DOC NYC, you now have less than 2 weeks to beat the earlybird submission window, which closes on March 6th. Film Comment Selects announced their 2015 program, which runs February 20th through March 5th at the Film Society at Lincoln Center and features the likes of ELECTRIC BOOGALOO: THE WILD, UNTOLD STORY OF CANNON FILMS and BELLUSCONE: A SICILIAN STORY, amongst others. David Hudson reported on the line-up over at Fandor’s Keyframe. Yesterday also saw the start of the 11th edition of Croatia’s non-fiction fest, ZagrebDox, which continues through March 1st. Basil Tsiokos gave an overview of the program over at What (not) To Doc. And while both of the following festivals have run their course, Geoff Andrew took the time to give his programmer’s prospective on the Berlin Competition line-up for the BFI, and Nicolas Rapold reflected on last year’s IDFA for Film Comment. In varying corners of doc news this week, Heather McIntosh wrote an article honoring the importance of Kartemquin Films within the context of non-fiction film history for Documentary Blog at POV. For The Hollywood Reporter, Tatiana Siegel spoke out on the increasing trend of Hollywood plundering documentary narratives for fictional feature material. Originally found within the pages of Sight & Sound’s December ’14 and January ’15 issues, filmmaker and commentator Mark Cousins‘s faux film school curriculum has made its way online. Though James Marsh wrote about FINDING VIVIAN MAIER for The Talkhouse and Hannah McGill reviewed MAIDEN for Sight & Sound, the film on everyone’s mind this week seemed to be Amanda Rose Wilder’s APPROACHING THE ELEPHANT, which received reviews from everyone and everywhere, including NPR’s Tomas Hachard, A.V. Club’s A.A. Dowd, and Daniel Walber of Nonfics. Wilder was also interviewed about her film by Rich Juzwiak at Gawker, as well as Black Book’s Micah Gottlieb. Other interviews that popped up this week include Paula Bernstein’s in-depth conversation with CRISIS HOTLINE: VETERANS PRESS 1 director, Ellen Goosenberg Kent, at Indiewire, an interview by Fandor’s Cheryl Eddy and director Nick Broomfield about his latest film, TALES OF THE GRIM SLEEPER, as well as a conversation with Veronika Lišková, the director DANIEL’S WORLD, and Filip Šebek of Cineuropa. A number of films became available to watch online for free this past week, including the Sundance debuted THROUGH A LENS DARKLY, which was directed by Thomas Allen Harris, and AUGUST WILSON: THE GROUND ON WHICH I STAND, a film directed by Samuel D. Pollard, both of which are being hosted by PBS as part of Black History Month. Promoting his new book, a wonderful new video essay by Matt Zoller Seitz, titled THE WES ANDERSON COLLECTION CHAPTER 8: THE GRAND BUDAPEST HOTEL, also found its way online. And adding to the ever-growing Op-Docs catalog, an animated short doc by Flora Lichtman and Sharon Shattuck, titled ANIMATED LIFE: PANGEA was posted at The New York Times. Speaking of Op-Docs, Manori Ravindran honored Jason Spingarn-Koff, editor of Op-Docs, by including him as part of Realscreen’s Trailerblazers 2014. This week I’ll leave you with a lovely pair of articles, the first of which, though not directly commenting on non-fiction films, sees Elisabeth LaMotte of the Washington Post speak about how cinema is now being used by therapists to help heal their patients, while the second sees Gabriel Baumgaertner of The Guardian checking in to see what ever happened with the subjects of Steve James’s documentary classic, HOOP DREAMS.